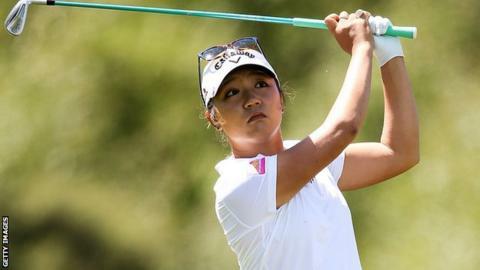 Home favourite and world number one Lydia Ko shrugged off the effects of an earthquake to win her third New Zealand Women's Open title in four years. The 5.7-magnitude quake affected the Christchurch area about 10 minutes before the 18-year-old began play. But she started her round on time and finished with a two-under 70. Ko won on 10 under, two shots clear of England's Felicity Johnson, South Korean amateur Hye-Jin Choi and Denmark's Nanna Koerstz Madsen. "It was lucky I wasn't out there playing because I wouldn't want to be in the middle of my swing and the ball moves somewhere else," said the teenager afterwards. "It's been a long week, a lot of emotion and a lot of people to share this amazing victory with. Especially given how much New Zealand golf has been a support to me and my career." Ko's success follows her victories in the event in 2013 and 2015.